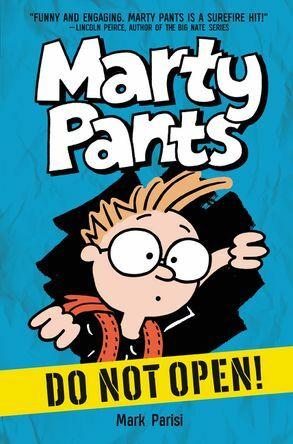 Marty Pants #1: Do Not Open! – Shelf Stuff Shelf Stuff | Marty Pants #1: Do Not Open! A sure fire hit, here comes the imaginative, the inquisitive, the unstoppable, Marty Pants! Read the series that follows the endearing, frazzled, embarrassed, and ultimately fearless footsteps of literature’s most unlikely hero. Move over, Wimpy Kid. Here comes the imaginative, the inquisitive, the unstoppable Marty Pants!Marty Pants is different from your typical middle schooler. He has the soul of an artist, and as an artist, he notices things–except when he doesn’t.When Marty discovers a note suggesting an alien is watching him, this is something he can’t ignore. But no one, not his friends, his family, his arch-enemy, nor the chief of police, can see what he sees. 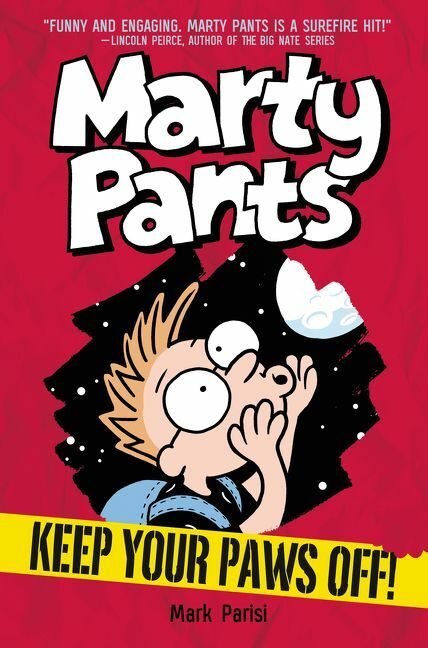 So, it’s up to Marty to save the world—his way!This hilarious new series follows the endearing, frazzled, embarrassed, and ultimately fearless footsteps of literature’s most unlikely hero: Marty Pants.